We create premium quality at the workplace. 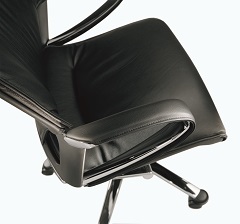 First class leathers for office furniture. 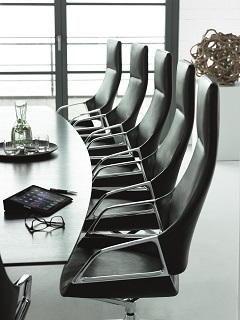 We supply leathers for high quality office furniture from classic elegance to natural nobility. However, this requires leathers with both high comfort as well as the best wear properties. And for our office furniture leathers this also means: no compromise! The German eco-seal „The Blue Angel“ proves that we provide especially low-emission leathers for improved safety, protecting health even in the work-place. At the same time, the highest demands of the German Quality Assurance Association – Furniture have been met and exceeded.